The beautiful spring weather continued as Jim and Trevor made their way to Imola via Bologna. For both drivers, this race was a first. 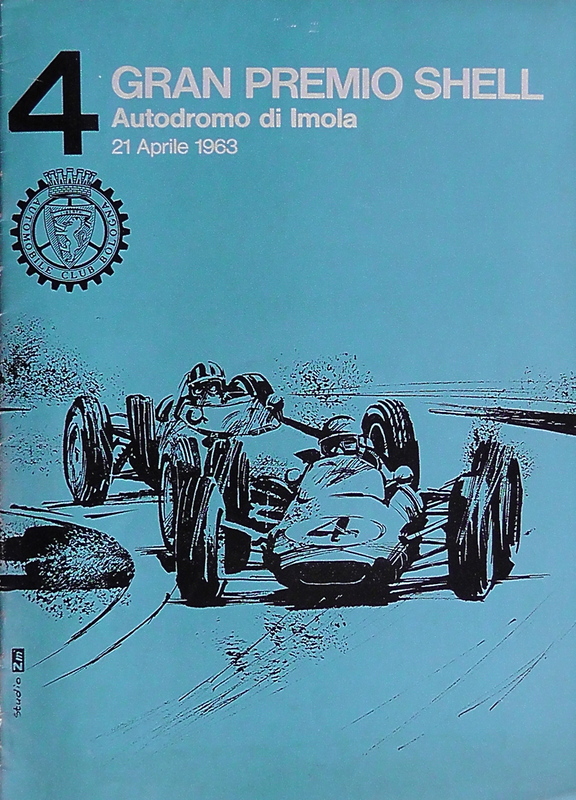 Imola – running through the vineyards and orchards of beautiful, undulating countryside – was in 1963 better-known as a motor-cycle track that had seen some sports car racing in the 1950s. 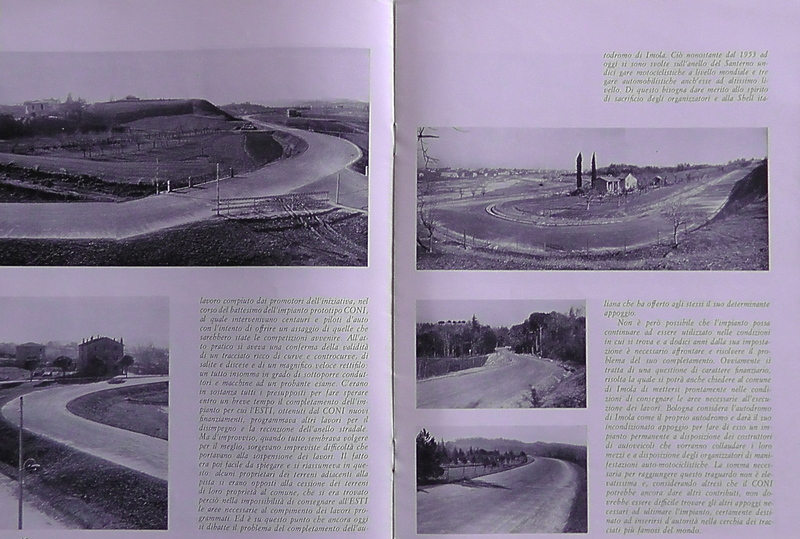 There was no “Ferrari” element to it back then: the circuit had actually been developed by the Italian Olympic Committee, based on public roads. Nor were there any chicanes. 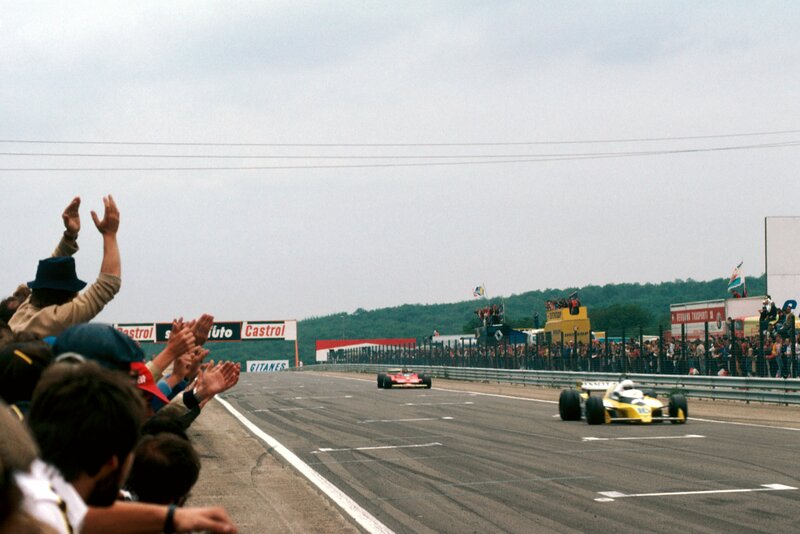 From what we know today as “Ravazza” – the left-hander that takes the circuit back towards the pits – Imola was basically flat-out all the way down to Tosa, the tight left-hander that leads uphill. 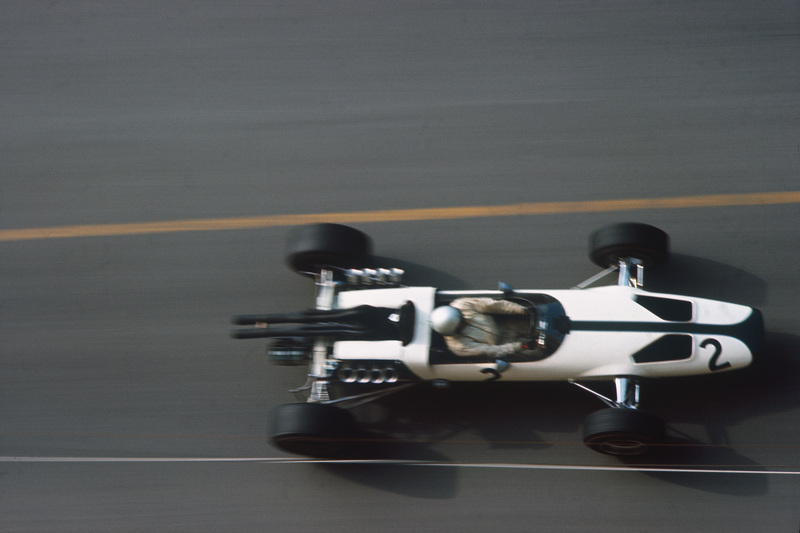 The road wasn’t straight, mind: Tamborello was still a very fast left-hand kink back then and the right-hander that followed it was likewise right-on-the-edge. There was no “Variante Alta” after Acqua Minerale – but in some ways the track gave back what it gained in fast corners by being incredibly bumpy, particularly on that climb to the top of the hill. I spoke to Brian Redman recently about his win at a pre-chicane Imola in a Gulf Porsche 917: he reckoned that only Spa was more demanding. The sun shone, the air was fresh – and, for Team Lotus, the opposition was again negligible. Not even Ferrari sent cars to this Shell-sponsored race, which meant that young Italian stars like Lorenzo Bandini had to seek rides in old Centro Sud Cooper- Maseratis. 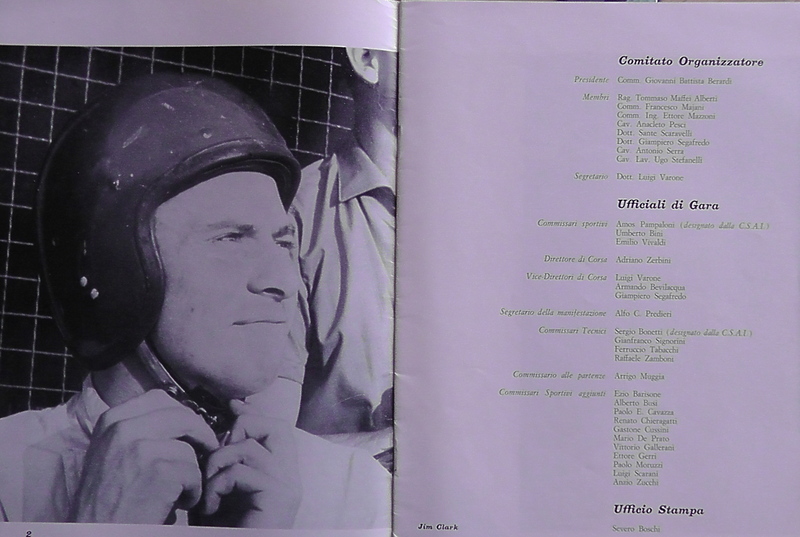 As at Pau, though, Jim’s dedication to the perfect lap – and then to the perfect race – remained undimmed. Over two days of practice he focused on taking the kinks flat and the high-speed corners in beautifully-balanced drifts: the result was a lap in 1min 48.3 sec – an easy pole, given that Trevor lost a lot of time with gearbox trouble. 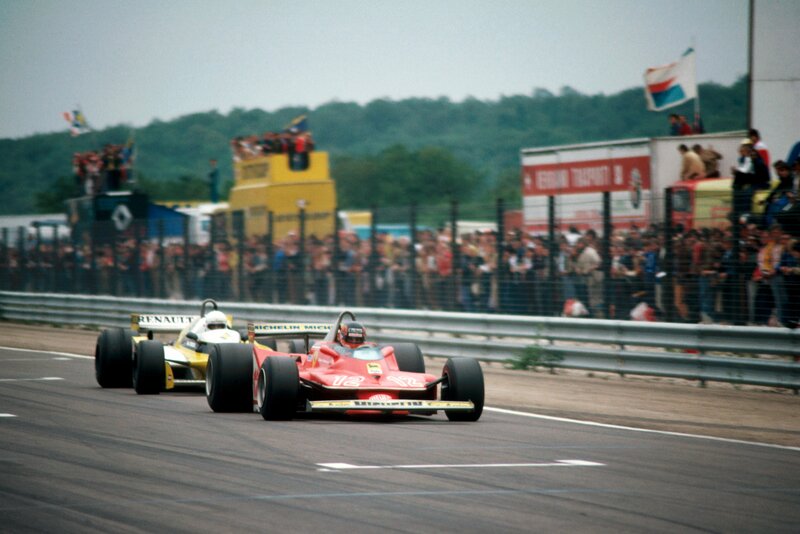 Towards the end of this Imola race, therefore, Jim waited for Trevor and “raced” him through to the flag. Their pace, given that Jo Siffert was lying a very distant second in the Filipinetti Lotus 24-BRM, was breathtaking to watch. Jim waved Trevor past – then shadowed him, pushing him as hard as he dared, bearing in mind that Trevor was driving now without fourth gear at all. Taking this into account, it is amazing, I think, to note that Trevor eventually lapped in 1min 48.3sec – at Jim’s pole time (166.769kph). So did Jim, of course – but that wasn’t the point. The race, after all, had been fun. 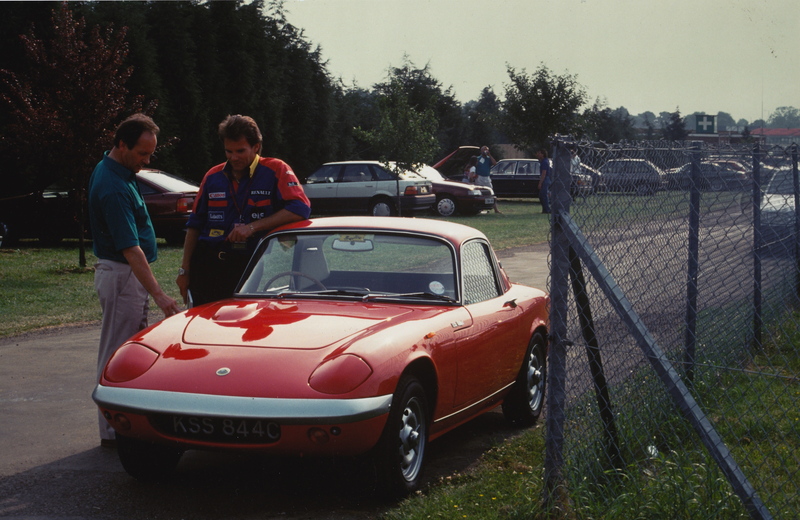 Thus Team Lotus’ pre-season European interlude comes to an end. Next race: the Aintree 200. Again – and good to see, too – it is on a Saturday. Next Saturday. April 27.